If you are in Delhi and have passion to drive, pick your car and head to Himalayas. There are some of the world's most picturesque drives that you can do from here. It's a dream-come-true road trip for every adventure lover. Driving through green pines and then rocky mountains... over the snow covered mountain passes... witnessing vast landscapes that change with every turn and visiting the colorful monasteries and celebrating life with monks, you'll reach the destinations that come straight out of the world of fantasies. The nature's beauty will keep you alert every moment, so much so that you would not want to even blink. The highway drive from Delhi to Pathankot has some of the best road side dhabas offering delicious punjabi food. The first night halt can be taken at Pathankot. From here a scenic drive along river Tawi will take you to Patnitop, a beautiful hilltop enveloped by thickly wooded Cedar and Deodar forests with the breathtaking views of the Chenab basin. The road from Patnitop to Srinagar is dotted by Poplar trees, green fields and small markets. You can take a day break at Srinagar and enjoy beautiful gardens and the Dal lake. 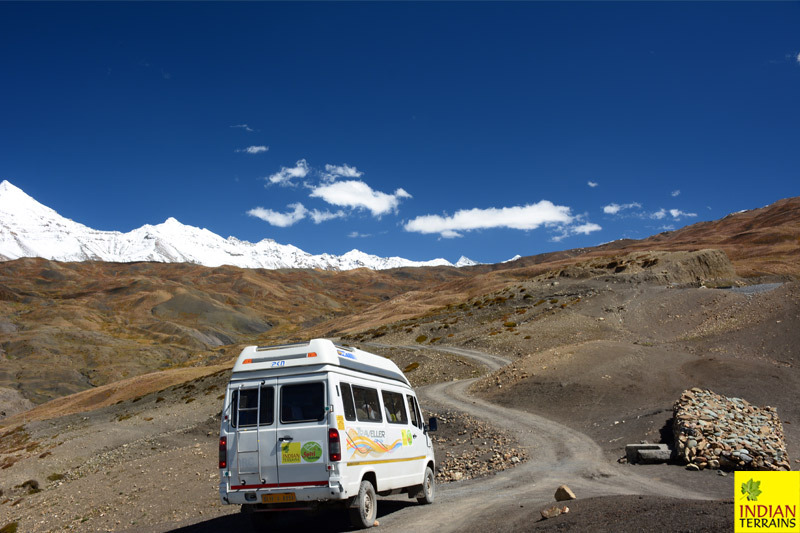 The last leg of this journey from Srinagar to Leh through Sonmarg, Batal, Drass and Kargil is the most exciting one. 9 kms from Sonmarg you will reach the first high mountain pass, Zoji La (3,528 m/11,575 ft). 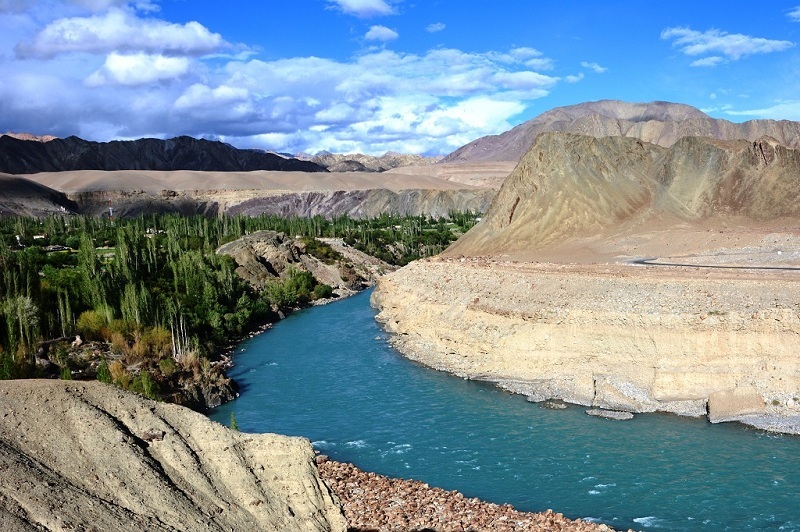 The road from Batal to Zoji La is said to be one of world's most dangerous roads. Once you have crossed the pass, the whole landscape changes. Greenery disappears and you will find yourself driving through the vast landscapes. The mountains change texture and color on every turn. Crossing world's coldest inhabited village Drass and Kargil reach Lamayuru, one of the oldest monasteries of the region. Driving through Sangam (confluence of Indus & Zanskar Rivers), Magnetic Hills, Gurudwara Pathar Sahib and Hall of Fame, finally reach Leh. Zoji La (11,575 ft) located on the Indian NH 1 between Srinagar and Leh in the western section of the Himalayan mountain range. 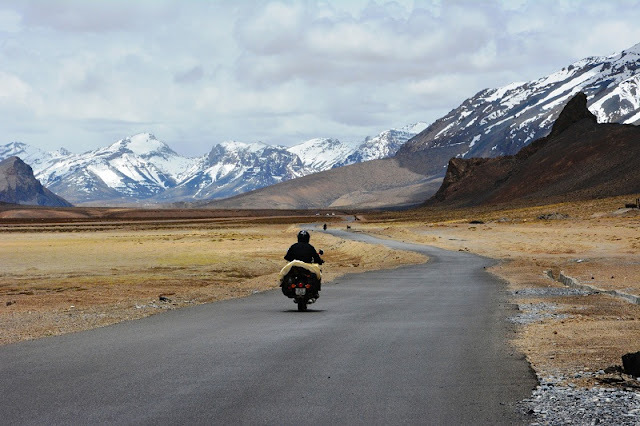 Namika La (12,139 ft) is in the Zanskar range on the road from Mulbek Valley to the Lamayuru Monastery. In Mulbek you can see an immense rock carving of the Maitreya Buddha and a Gompa perched high on a cliff overlooking the village. 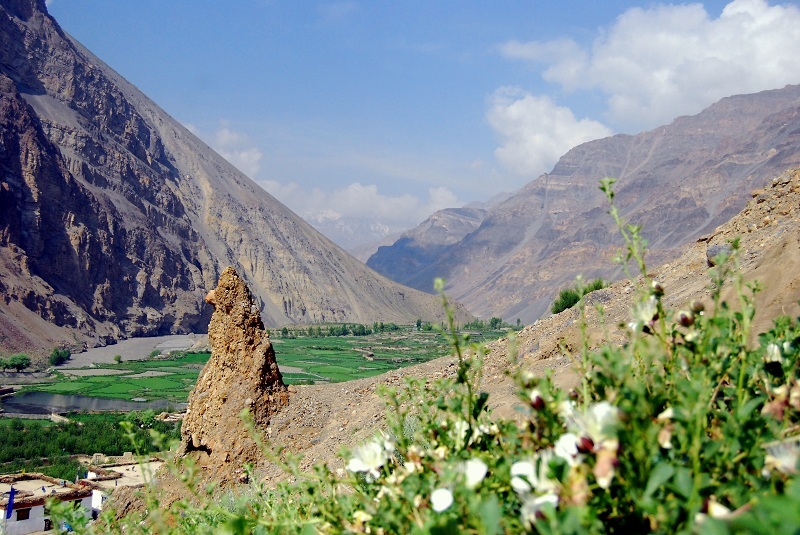 Fotu La (13,432 ft) is a mountain pass in the Zaskar Range. It is the highest point on the highway, surpassing the famed Zoji La. The Trail: Delhi – Manali – Rohtang La – Gramphoo – Chattru – Battal – Chandratal. It will take around 14hrs to reach Manali. 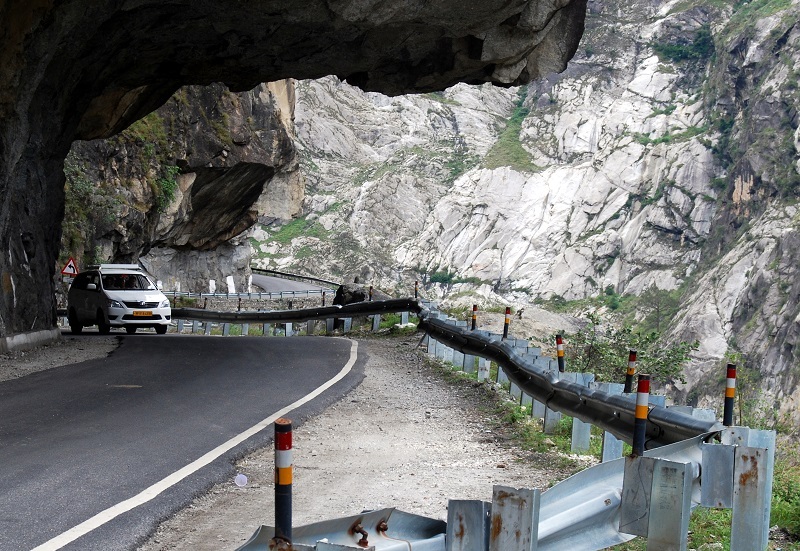 Its a highway drive followed by the drive along Beas River and then through lush green Kullu valley. Take a night halt at Manali. From Manali Chandratal is around 120kms. Driving through the magnificent landscape of Solang valley you reach Rohtang pass. Post which the road is quite challenging. You need to be an expert driver to drive on these roads. 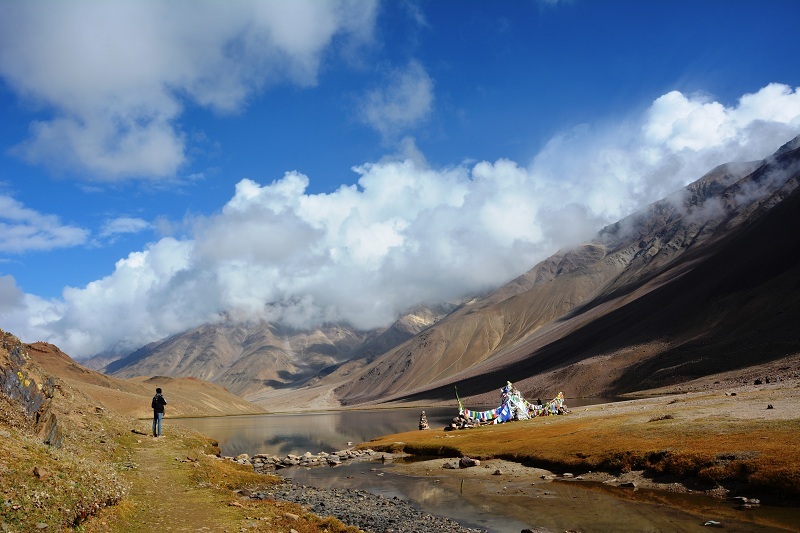 The area has magnificent vast himalayan landscapes. But there is no habitation except for the fixed camps at Gramphoo, Chhatru and Battal. This is where you can have your meals of simple rice dal and sabji or maggi with hot refreshing tea and relax for some time. In case you don't drive but love to go on road trips, check our list of road trips and join one.